On Wednesday, Jan. 13, 2016, our beloved mother and grandmother, departed this earthly life to be in the presence of the Lord. Apostle Paul said in 2 Corinthians 5:1: "For we know that if our earthly house of this tabernacle be dissolved, we have a building of God, a house not made with hands." He further goes on to say in verses 8-10: "We are confident, I say, and willing rather to be absent from the body, and to be present with the Lord. Wherefore we labour, that, whether present or absent, we may be accepted of him. For we must all appear before the judgment seat of Christ; that every one may receive the things done in his body, according to that he hath done, whether it be good or bad." A Celebration of Life will be at 11:30 a.m. Saturday, Jan. 23, 2016, at St. James Baptist Church, Lawton, under direction of Whinery-Huddleston Funeral Service. Frances "Mae" Thomas was born May 15, 1935, to the late James Ripp Taylor and Fannie Broughton in Meers. She was educated in the Lawton Public Schools and attended Dunbar Elementary School. She worked as a teacher's aide at Dunbar Elementary and in her later years as a foster grandmother at Flower Mound Pre-K. Her final years of employment were served at Lee Pre-K (Beginnings Academy) before her health declined, forcing her to retire. To this day, she is fondly remembered as a loving grandmother by the staff and faculty at Beginnings Academy. Mother Frances worked as a domestic and teacher's aide for over 40 years. Mother Frances professed a love for Christ and accepted him as her personal savior at Christ Temple Church of the Pentecostal Assemblies of the World (PAW), under the Leadership of the Late Elder I.L. Butcher. She later served under the leadership of Elder Jessie Davis and the late Pastor Charles Meadows. Mother Frances was also a member and church mother at Free Gospel Church under the leadership of the late Bishop George Thomas. Upon the death of Bishop Thomas, Mother Frances united with the True Love Apostolic Church under the leadership of Suffrage Bishop Joe Williams. 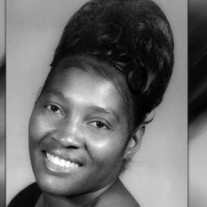 She served faithfully at True Love until the Lord released her to support her son as Pastor James R Taylor was called to pastor St. James Baptist Church, where she also served as the church mother until the time of her home going. Mother Frances was affectionately called "Mae" by her late son, Tom. She was a true soldier of the Lord for over 50 years. Mother touched many lives through her "Sweet Potato Pies" and her sage wisdom. She was a counselor to many, including pastors and lay people alike. Through her wisdom and advice, many members are saved, and their marriages are yet together because of her prayer and solid Christian advice. Mother Frances's doors were always open. As a member of the Christ Temple, she would serve as a mother to many Fort Sill soldiers who were in training and away from home for the very first time. Mother loved the Lord; one of her favorite sayings was "Thank the Lord." No matter what her situations or circumstances, she would always say "Thank the Lord." She had a sweet giving spirit; she always kept bags of treats at her home to give to all her precious grandbabies when they came to visit. She would also have a purse full of treats to give out at church to her precious babies. Mother Frances loved her church and especially her pastor. Mother Frances was preceded in death by her son, Thomas E. Taylor; daughter Rose I. Jones; beloved granddaughters: Shindada Reed and Kidada Bentley; her mother and father; sisters: Imogene Taylor, Dorothy Taylor, and Alberta Bookman; and brothers: Marvin Taylor, and Earnest Taylor. She is survived by sons: Carlos (Sherlene) Taylor of Lawton; James (Bernita) Taylor of Lawton, Ivan Thomas of Lawton; and Ezra Thomas, of Federal Way, Wash.; sisters: Rosie Butcher of Tulsa; and Doris Weaver of Los Angeles; sisters-in-law: Thelma Taylor of Sacramento, Calif.; and Nora Taylor of Los Angeles; eight grandchildren; five great-grandchildren; and many cousins, nieces, nephews, loved ones, and friends. Visitation will be from 4 to 8 p.m. Friday at the funeral home.